My summer of dresses. I didn't consciously plan to wear so many dresses this summer, but it's turning out that way. Dresses are just a lot easier, I like that I can grab one item and my outfit is 90% complete. 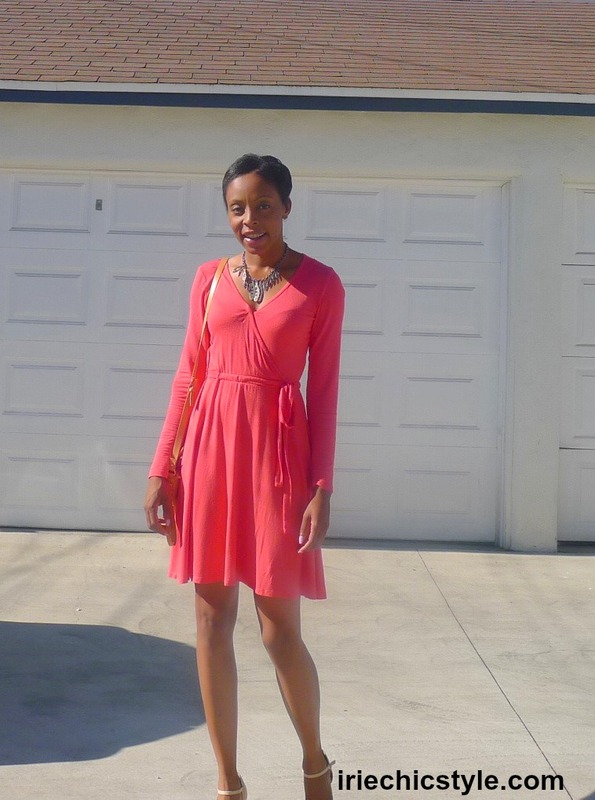 This coral wrap dress that I've had for a few years now is one of my summer faves. What hasn't been easy for me lately is going to the gym. Life is super busy right now, and I have a lot on my plate. It's a daily decision to stay committed to my fitness journey. I tell myself that commitment means staying the course in spite of my feelings. It's true for any goal or journey you begin, staying the course, even when it's hard is the key to realizing your goals and dreams.